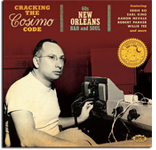 Celebrated author (and Cosimo Code co-founder) John Broven is proud to announce the publication of a completely revised and updated edition of his award-winning 1974 classic that introduced New Orleans R&B to the rest of the world. With over 100 more pages of newly conducted interviews and the author's own painstaking research, this expanded 2016 version is a must-have for any fan of Crescent City music! Click here for more information. 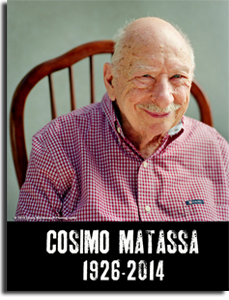 As we're sure you know by now, New Orleans Legend, Hall of Fame engineer, producer and much-loved family man Cosimo Matassa passed away on September 11th. If you haven't already, please take the time to read John Broven's heartfelt tribute to Cosimo, whom he describes as "A Treasure of a Man." 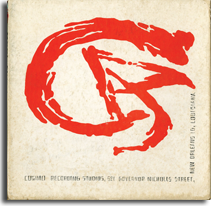 Released in conjunction with Ace Records in the UK, our first ever CD pulls together some of the best music ever recorded on Governor Nicholls Street, from the well-known to the obscure, complete with a companion 28 page booklet of rare photos and in-depth liner notes by founding members John Broven, Red Kelly and John Ridley. Simply essential, click here for track listing, reviews and ordering information. 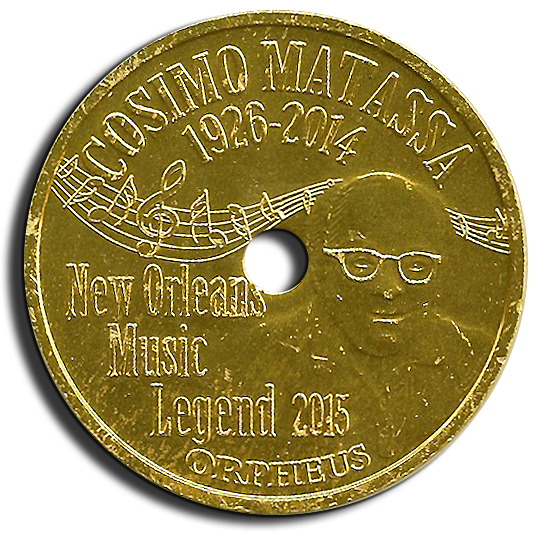 Come join The Team as we attempt to discover more about the incredible 'mass of work' that Cosimo Matassa had a hand in creating during the largely unexplored era of New Orleans music history that is the focus of this site - 1960-1977. Help us fill in the blanks! On April 12, 2015, a panel discussion about Cosimo was held in New Orleans as part of the French Quarter Festival's Let Them Talk: Conversations on Louisiana Music series. Moderated by John Broven, the panel featured Allen Toussaint and Deacon John (who surprised all of us with impromptu performances of a couple of Minit classics), along with a presentation about The Code by Red Kelly. Click here for a video of the event. "Lee Dorsey was a terrific vocalist who I worked with in New Orleans at Cosimo's Studio beginning in 1961..." Bobby Robinson has said. Now, thanks to actual session sheets and master tapes recently uncovered by Rob Santos in the SONY vaults, we take a closer look at some of the records that both Bobby and his infamous partner Marshall Sehorn cut down on Governor Nicholls, including an interesting discovery about one of Lee's biggest hits. It's a little known fact that 'The Killer', Jerry Lee Lewis, cut his initial demo recordings at Cosimo Matassa's J&M Studios in New Orleans in 1952. First-time Cosimo Code contributor Jay Halsey explains the circumstances surrounding that session, and shares the raw energy of those tracks with us. The first ever in-depth look at New Orleans legend John 'Scarface' Williams, written for us by his daughter, Deborah. A founding member of Huey Smith's Clowns, Williams went on to lead his own group, The Tick Tocks, and head his own tribe of Mardi Gras Indians during his short yet remarkable life. Annotated by John Broven, Deborah Williams tells her father's story through never before seen photographs, some rare audio, and a surprising video clip! 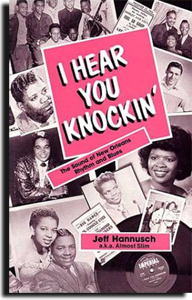 Award Winning New Orleans author Jeff Hannusch tells the story of how, with the help of R&B legend Tommy Ridgley, he tracked down the missing Ric and Ron masters and set about re-issuing this timeless music for a new generation of listeners. Thanks to Scott Billington and Adam Taylor at Rounder, Jeff has also been able to provide us with some amazing images. Check it out! As discussed, the first of the hyphenated numbers in the Code represent the label, or 'Client'. Although there does appear to be some rhyme and reason to them, just when you think you have it all figured out, one pops up out of left field that you didn't expect. If nothing else, Cosimo kept things interesting! Meticulously compiled by our man John Broven, this page lists in numerical order all of these numbers and the Clients they represent. Photographs and souvenirs from the bygone days when the Code was King. This page features previously unseen high quality scans of tape boxes, studio track sheets and A.F.M. contracts, both from Governor Nicholls and Jazz City - with special thanks to Roger Armstrong, Woody Sistrunk, Jeff Hannusch, John Broven and Steve Saperstein! Incorporated by Cosimo Matassa in late 1965, Dover Records was a 'One-Stop' operation that handled recording, record pressing, distribution, marketing and promotion for many small independent labels in and around New Orleans. This page is an attempt at a comprehensive list of those labels, along with their principal owners and producers. Originally thought to only apply to 45s, in the course of compiling this list we've learned that The Code was also used for EPs and LPs, following the same sequential pattern. Gathered together on this page are all known 'coded' LPs. - Many thanks go to Peter Hoogers for digging deep once again and unearthing these rarities, and for sharing his scans with us. As always, we welcome you to post any new additions you might have on the forum. 14 NEW LPS ADDED!! A great many 45s cut at Cosimo's during this period were not stamped with 'The Code' (mainly those released by 'major independents' like Imperial and Minit who supplied their own matrix numbers), and it would be impossible to tell the whole story without including them. We feel that many of the gaps in The Code can be explained by these releases and, while we hope to compile an accurate list of all of these down the line, we figured that listing the ones that broke into the Billboard or Cashbox charts would be a good place to start. 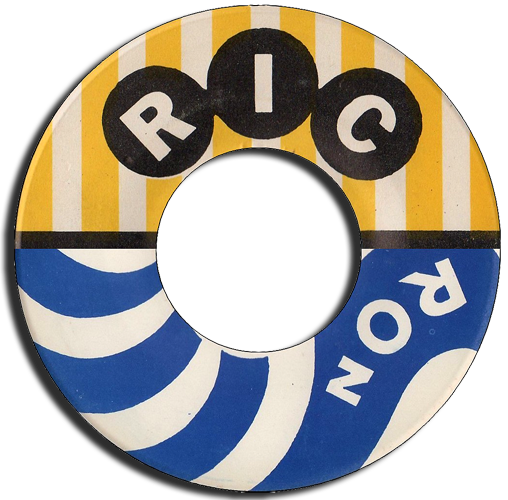 New Orleans and its rich musical heritage has been the the subject of much discussion over the years, both in print and on the internet. Here we take a look at some must-read books by noted authorities on the subject like our own Mr. Broven, Jeff Hannusch, Ben Sandmel and Rick Coleman, as well as a few written by those who were there, like Harold Battiste and Mac Rebennack. Also listed are some essential websites that have aided us immensely in our ongoing research. Founded in 2006, the mission of Soul Detective has been to provide a place where we can join together in our quest to find out all we can about American R&B and Soul Music, and honor the men and women who created it. Over the years, we have welcomed like-minded people from around the globe as they helped us make good things happen. Soul Detective is now proud to host The Cosimo Code project, and this website has been handcrafted by good ol' Red Kelly for all of us to enjoy.